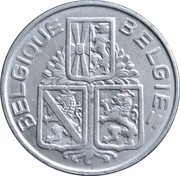 Three coats of arms of West-Flanders, Namur and Limbourg in front of a tree dividing the bilingual legend. 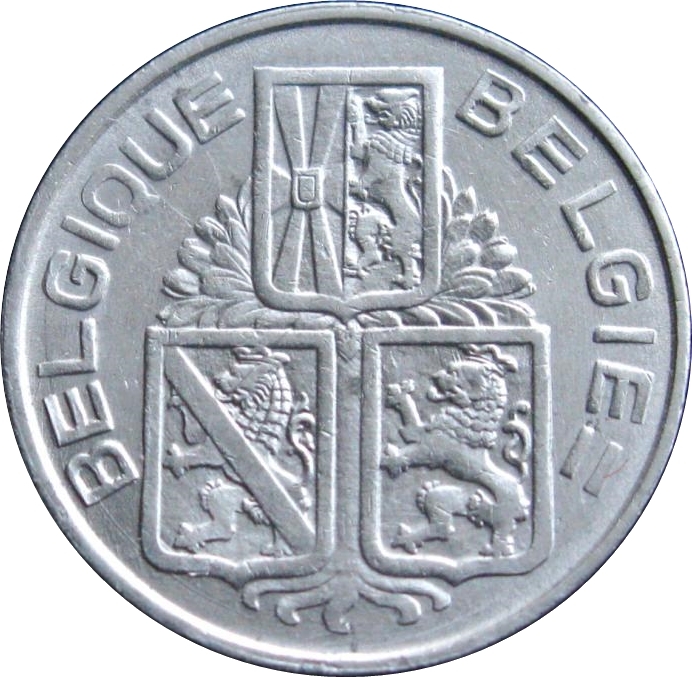 Ernest Lodewijk Adolf Wijnants (Mechelen, 24 September 1878 - 8 December 1964) was a Belgian sculptor and painter. 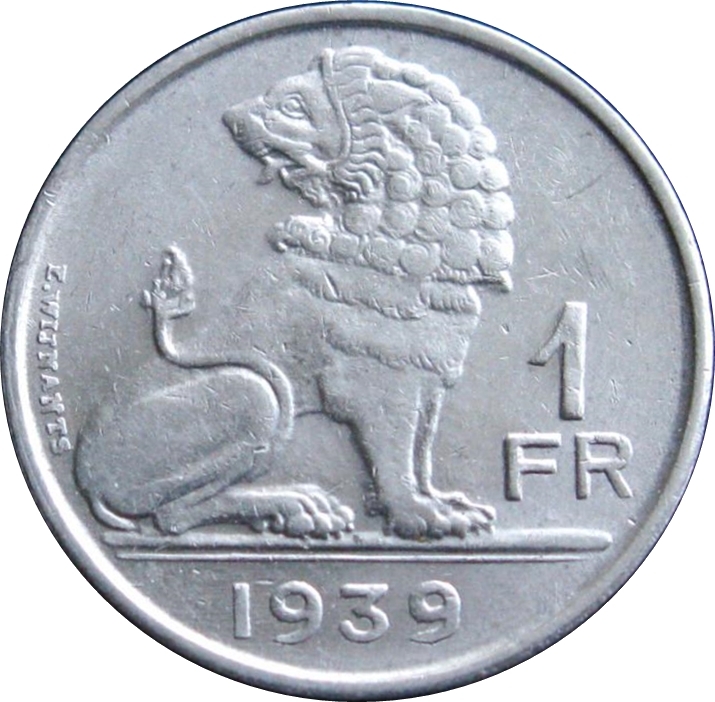 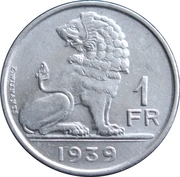 A sitting lion, date below and value at the right, designer at the left.